Minimise costly errors and rewrites. For any business it’s essential that all documents, white papers, brochures, presentations and online content are not just free of typos and grammatical errors but are also consistent and on message. 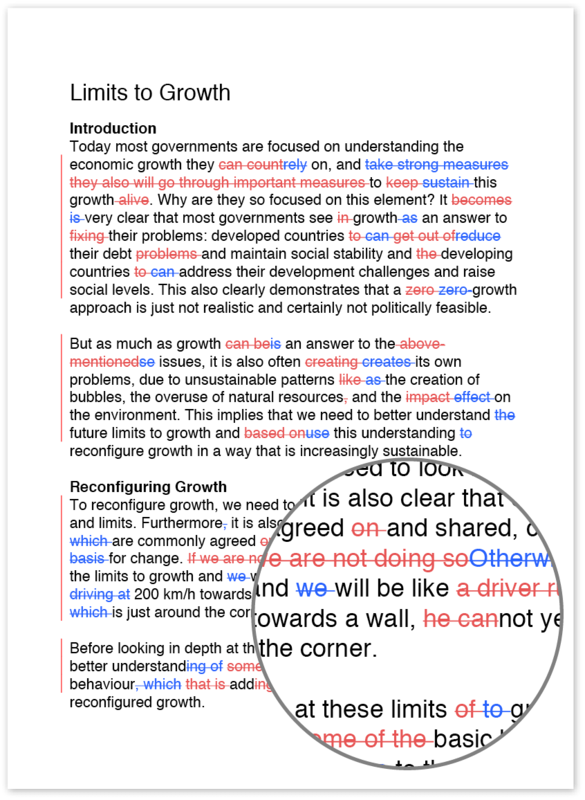 By using Wordy you can free up human resources in your organisation and leave the editing to professional, native speaking editors. In addition, Wordy's editors will edit and deliver material at any time, 24 hours a day, seven days a week. When it comes to business letters, you want to make sure that you don’t lose or alienate your readers through industry jargon, sloppy sentence structure or even grammar and spelling mistakes. facility to upload or create your own house style to maintain consistency and tone of voice across all your content. 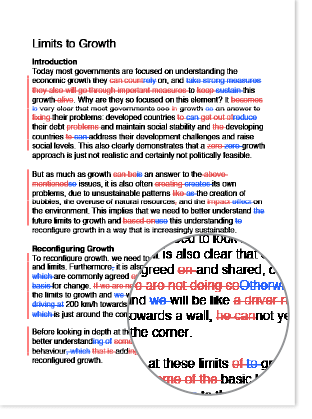 When you use Wordy's business editing service, you are in direct contact with your editor so even last-minute changes can make it into the text. In addition you can even return the document to your editor if you're not completely satisfied with the result. Create your free account now and start profiting from Wordy's business editing service.